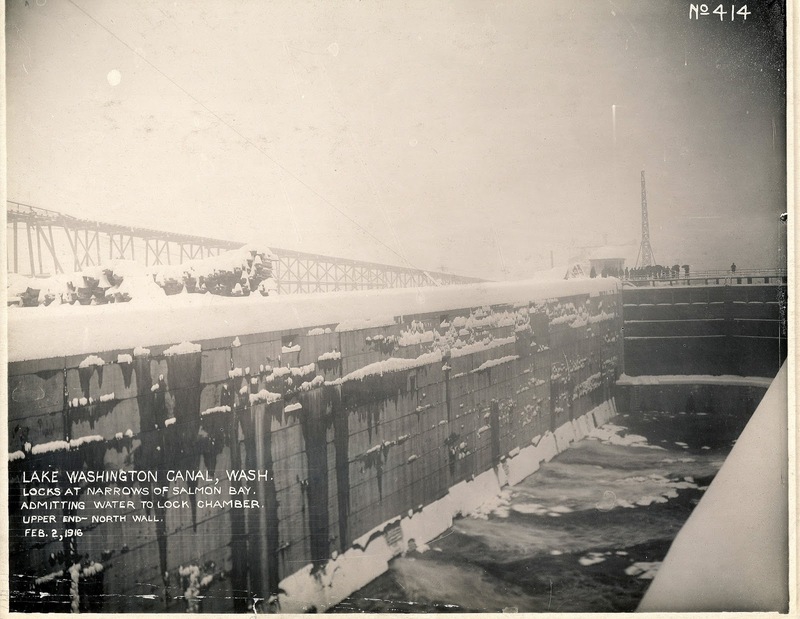 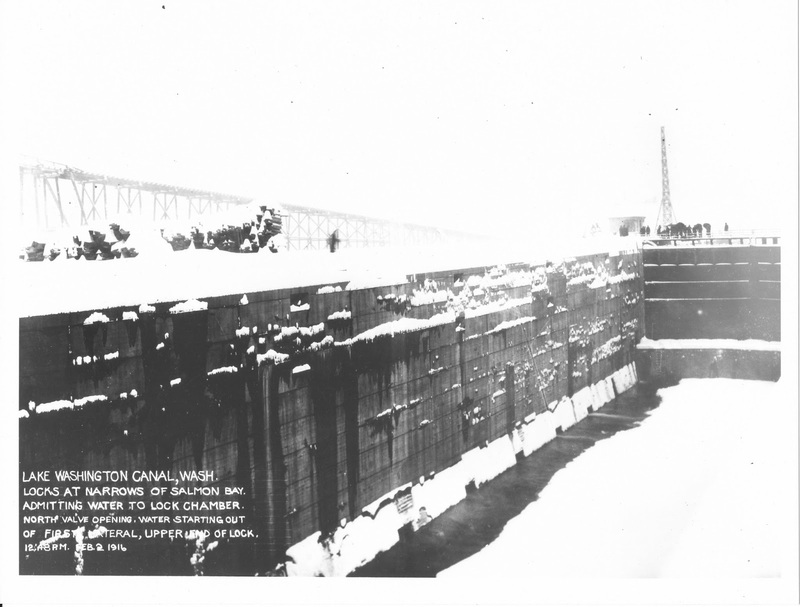 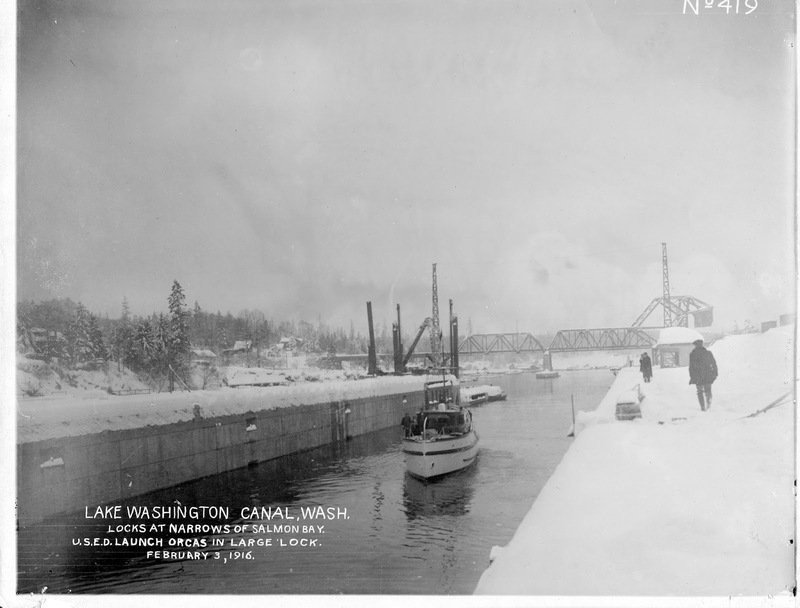 The large lock was filled for the first time ever. 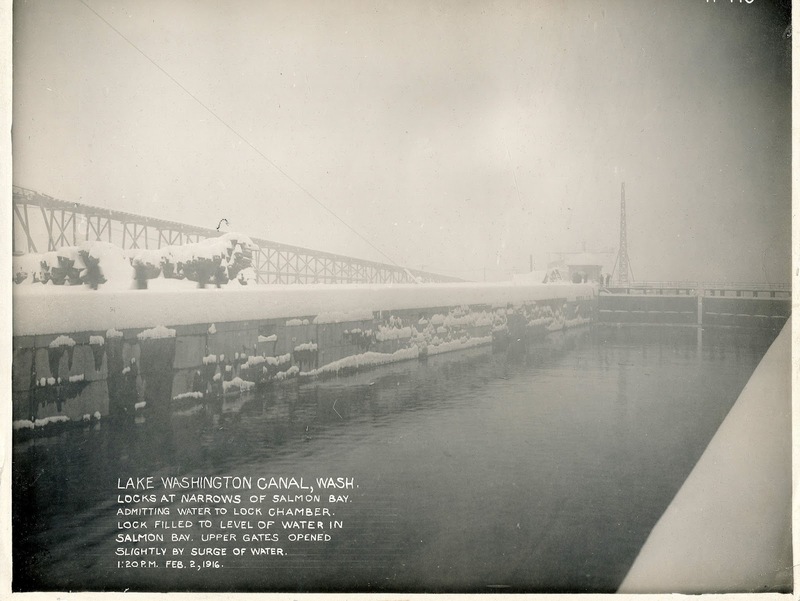 on Feb. 2 1916. 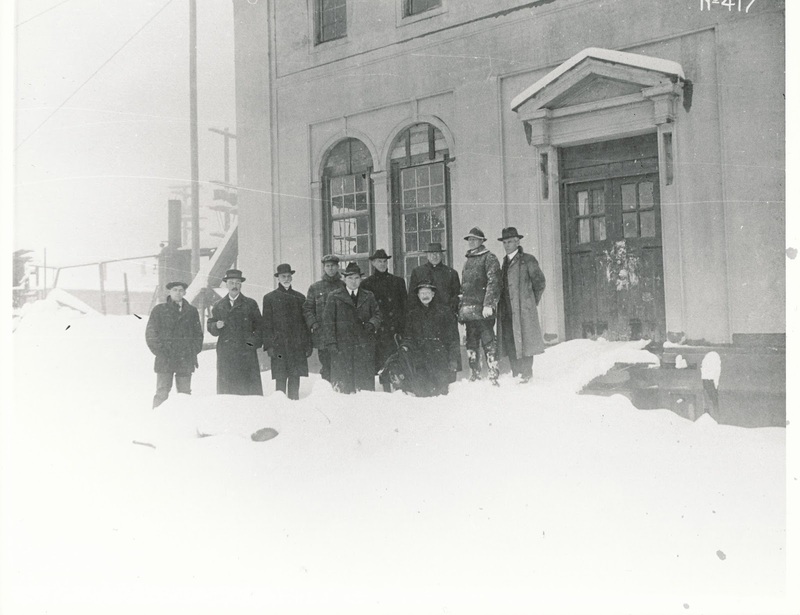 There was to be a small celebration to mark the occasion, but as the photos show, a heavy snowstorm put a damper on the occasion. 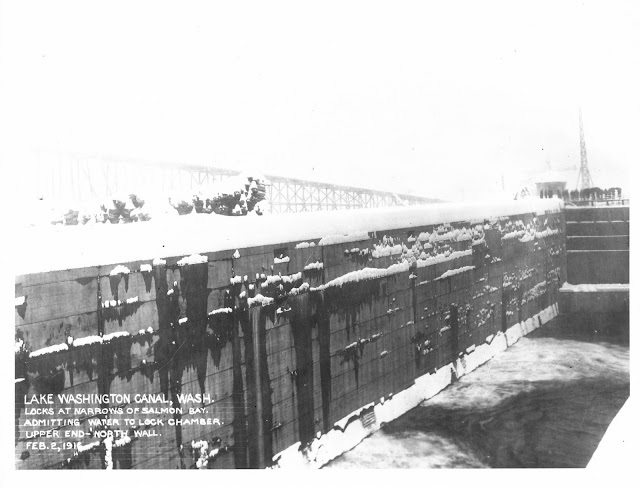 Nevertheless, local dignitaries, and people responsible for this project showed up despite the elements. 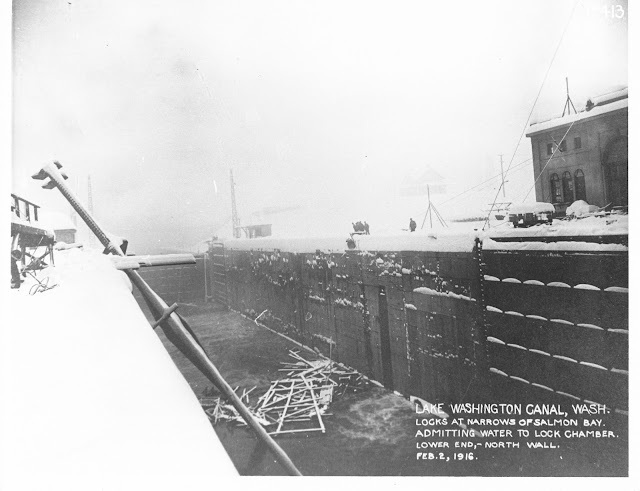 At the first filling of the lock. With the dignitaries watching from the far end, the water is seen as it starts to fill the large lock. Much debris in the lock visible as it fills. 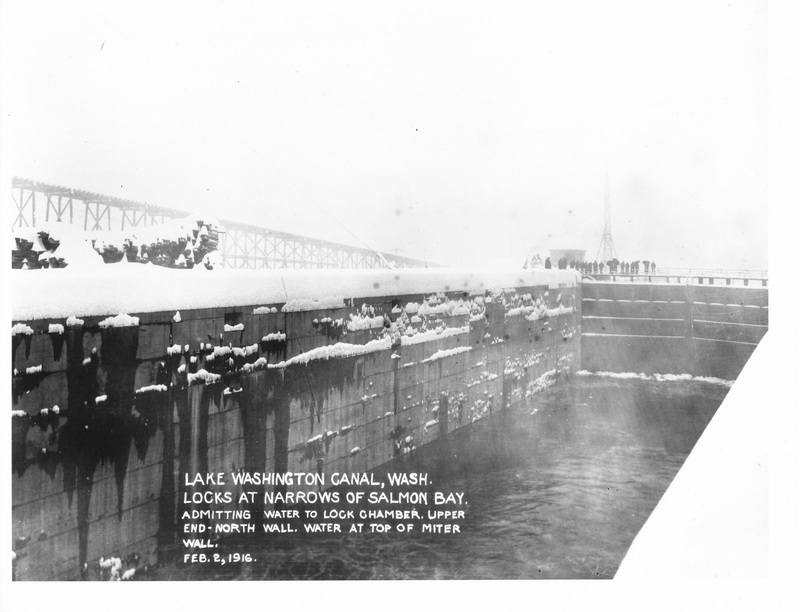 Feb 3, the Corps boat Orcas uses the lock.